Okay, so how old are these OLDER drivers? Those born on/before 1964. Yeah, they’re 48. Maybe I’m a little sensitive because that’s not too far away for me, but that’s not even old enough to qualify for AARP or senior discounts. 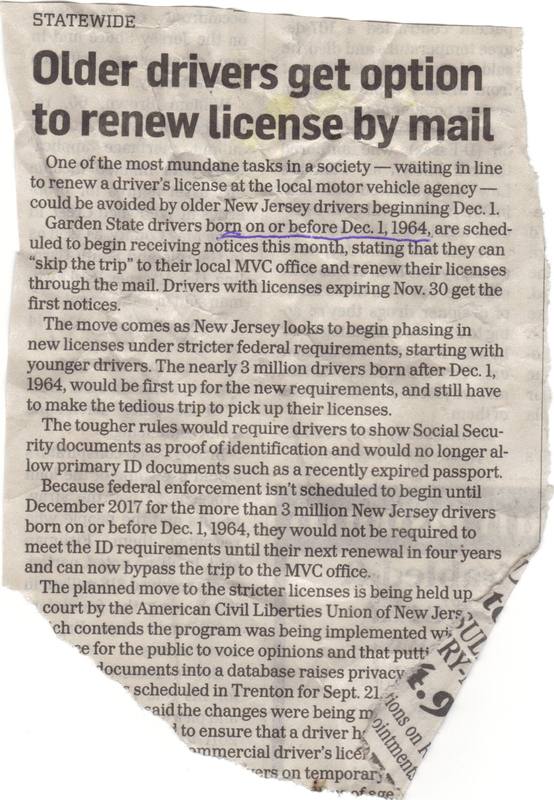 “Older drivers?” Screw you, Star Ledger. Aside from the awful (i.e. generic, passive) headline, this has to be one of the most poorly written articles of all times. Then again, it comes from the community newspaper and was likely submitted (perhaps with a check) by the deli owners themselves. They didn’t have the good sense to hire me to write if for them. 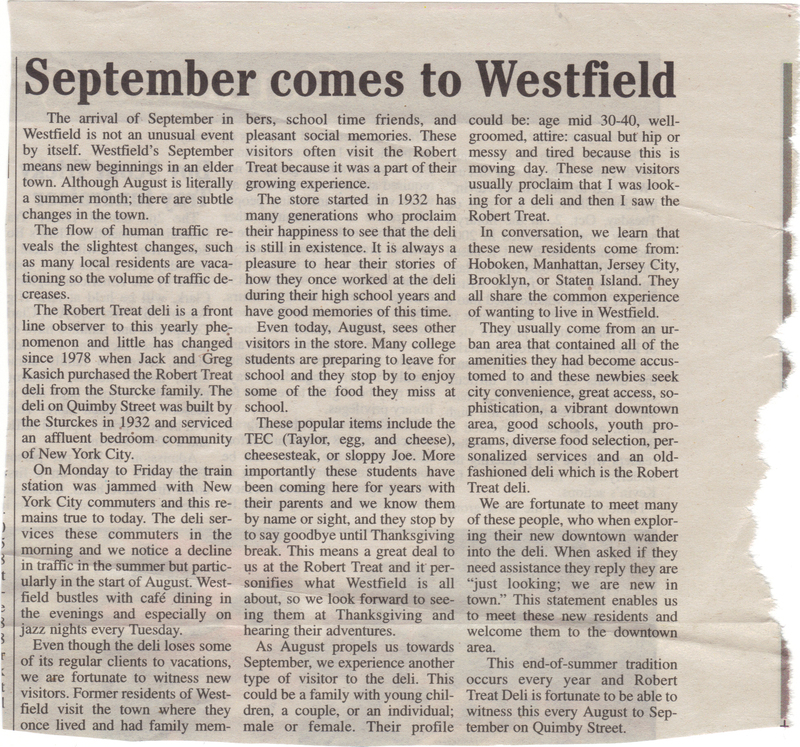 Headline is “September comes to Westfield” (and yes, it was published at the appropriate time, I’m just uploading it as “October comes to Westfield”). Below, the Star Ledger’s headline writer takes the source’s appropriate use of the word “shrill” and makes it incorrect in the subhead: Governor’s office says annual criticism comes from a partisan ‘shrill.‘ Uh, a little lesson here. The Sierra Club director was said to be shrill (producing a high-pitched tone), but the newspaper says he’s a partisan shrill (acting as a deceitful decoy). Huh? There’s no such thing as a partisan shrill.